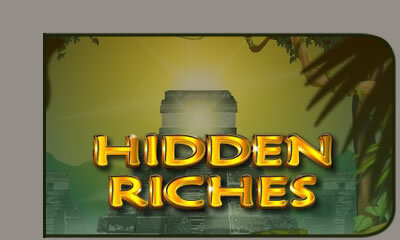 Hidden Riches uses RealTime Gaming Software and is a 5 reel, 25 payline video slot with free spins as well as a bonus game. The theme consists of an Indiana Jones scene with symbols such as gold, maps, snakes and compasses. The sound effects are refreshing and fit really well with the Mayan theme. Hidden riches bonus game is turned on when 3 or more scatter symbols appear on the reels. In this bonus round 5 Symbols are connected by a circle. multiply your wins of the triggering spin by either 10x, 15x, 25x, 100x, or 2000x.